Robotics is becoming a more and more popular tool to reverse the current trend of deceasing student interest in science, mathematics, and computer science. 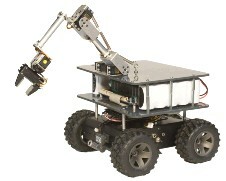 Indeed, robotics is well positioned to do so, since it uses mathematics, physics, and computer programming in hands-on activities where theoretical results have immediate real-world consequences. NXT & Java to learn how to install Java on an NXT "brick" and check a detailed, self-contained manual on programming in Java. The Challenges section contains suggested challenges, or tasks, for your robot to accomplish. 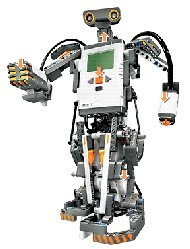 Constructions contains a variety of Robot Construction plans, mostly using the standard NXT kit. Have fun and please contact us with feedback.